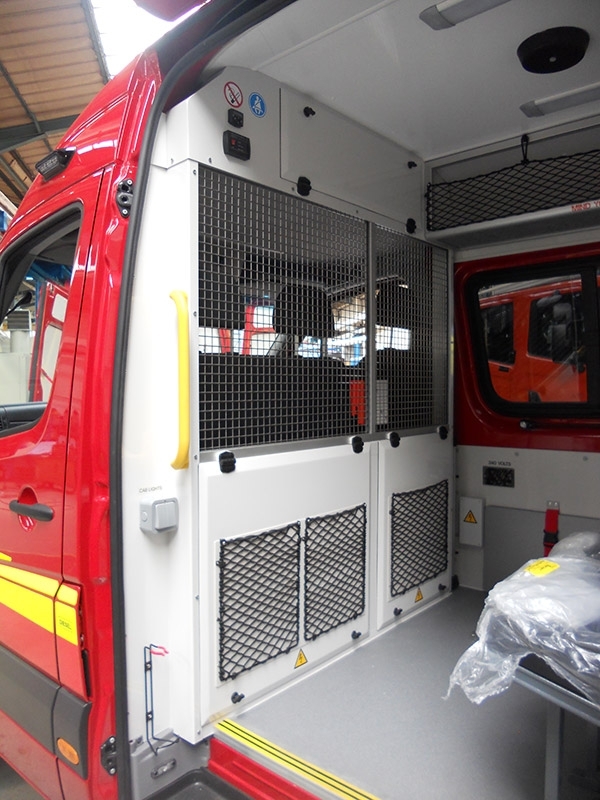 A well-known manufacturer of special vehicles for fire-fighting, rescue and security industries, Carmichael Support Services approached us recently with a requirement to fit out a number of fire rescue vans for Scottish Fire and Rescue with customised cabinets for the storage of equipment on board. Our modular aluminium profile system is ideal for constructing customised storage cabinets for a multitude of applications, with a wide range of accessories that make it highly flexible and easily installed. We provided the client with a generic design for vehicle cabinets after which he decided to purchase boxes of MiniTec profiles and fasteners so that they could develop their own prototype units and bulk-head screens.Rarely are two vehicles being converted exactly the same and the engineers at Carmichael Support Services were able to use the profile system easily to adapt designs for each type of vehicle being re-fitted. 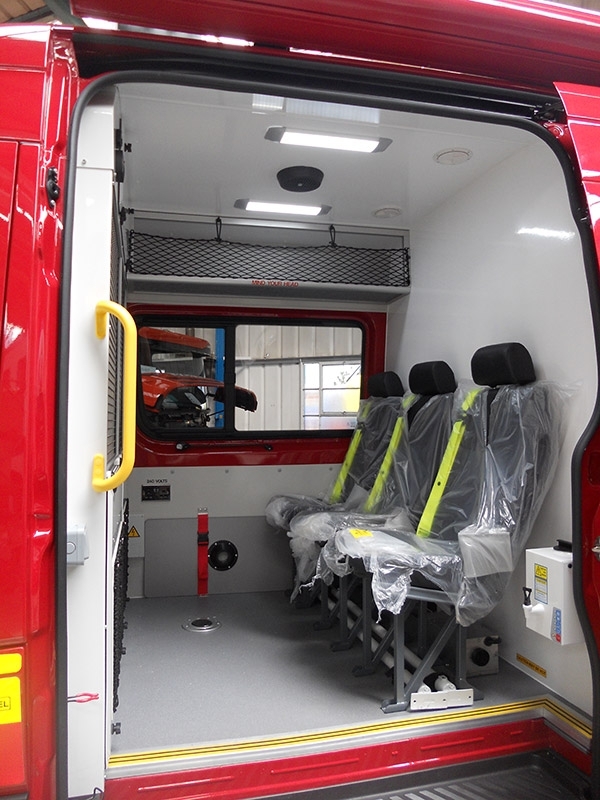 Rarely are two vehicles converted exactly the same and the engineers at Carmichael Support Services were able to use the MiniTec profile system easily to adapt designs for each type of vehicle being re-fitted. We were able to provide the customer with a kit parts with self-assembly drawings, all within 1-2 weeks from receipt of the order, with material being supplied from the extensive stocks held at the Basingstoke facility within 3 days and to date 10 vehicles have been fitted out with more to come.A perfect example of how the basic requirement from the client enabled the engineers at MiniTec to provide design options illustrations and supply a kit of parts for assembly on site within a very short lead time. This is a perfect example of how the basic requirement from the client enabled the engineers at MiniTec to provide design options illustrations and supply a kit of parts for assembly on site within a very short lead time.